Perfect Patients is in the business of creating chiropractic websites that generate new patients. 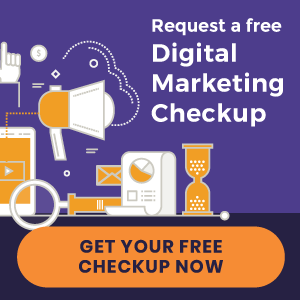 We design a beautiful site, write patient-converting content, and perform top-notch local SEO all with the end goal guiding us: generate more new patients for your chiropractic office. This means that our work can get your office phone to ring with qualified prospective patients, but what it can’t do is answer the phones. Is your practice staff prepared to handle the conversion process that occurs over the phone? Your staff members are more than order takers or traffic cops, they are part of a greater marketing conversation—answering questions, reassuring prospects, and guiding them to commit. In order to turn the prospective patients into actual patients when they call in seeking a new chiropractor, your office staff should: guide the conversation, offer specific appointment times, and be very familiar with your practice website. When a person calls your office after seeing your practice website, they will likely have some specific questions about your practice and your staff members are your practice experts. It is important that they are able to lead the conversation toward a booked appointment. When the prospective patient sounds like they may be ready to book an appointment, suggest to your staff that they ask specific questions to guide the caller toward booking an appointment rather than simply asking, “Would you like to schedule an appointment?” Specificity shows the caller that your practice is eager to see them and that the person they are speaking to is equipped to get them scheduled. Example: “Would a morning appointment or afternoon appointment be more convenient for you?” Then, suggest specific times relating to their choice. If you have invested in a chiropractic website, it’s crucial that your staff members explore it and become comfortable with the content. When prospective patients call your office after having seen your site, they may have questions about something specific that they saw. Your office will appear more competent and well-informed when your staff members are easily able to answer these questions. Is Your Staff Prepared to Convert New Patients From Your Website? We specialize in chiropractic website design and creating websites that generate qualified leads, but those leads are out of our hands once the prospective patient picks up the phone. Make sure that your staff members are properly trained and ready to turn those leads into patients! Are you curious about how many new patients your practice website is actually producing? Learn about our New Patient Tracker that names names! « Chiropractic Website Design | Dr. Robert Shire and more just launched!